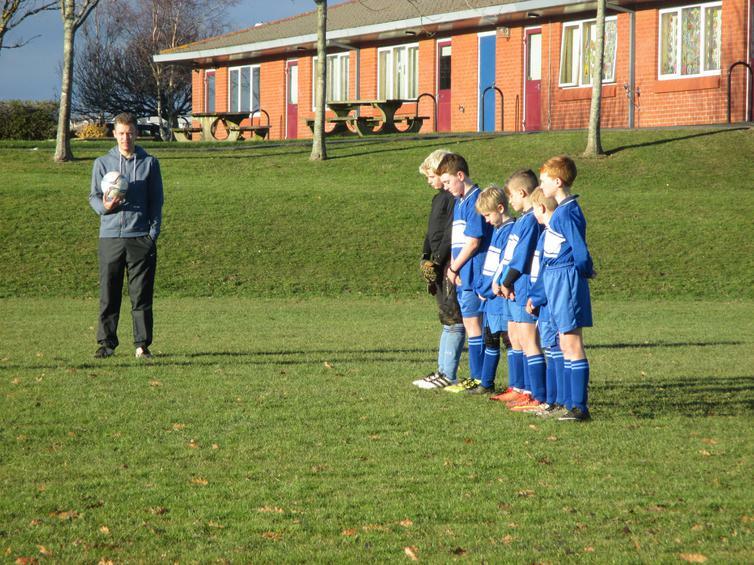 Respect is the name of the game! 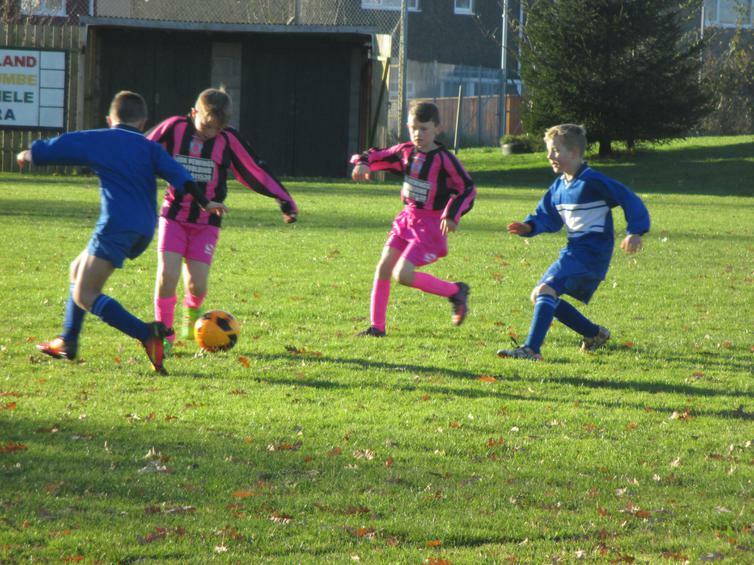 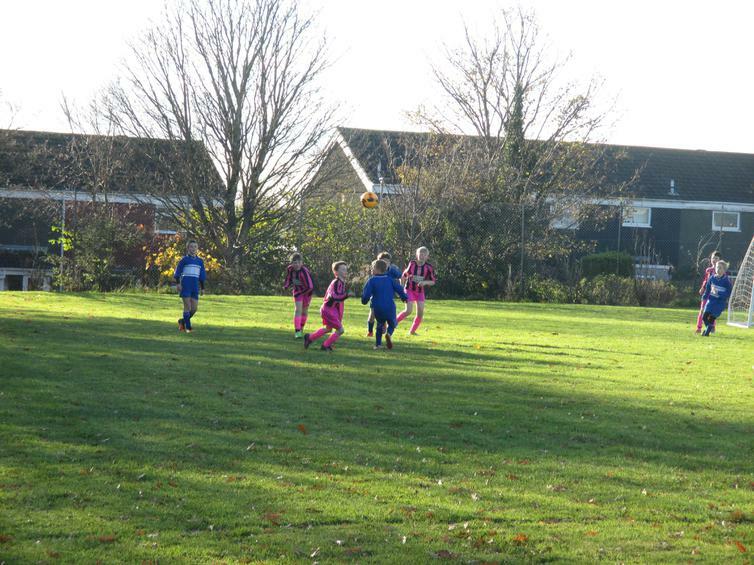 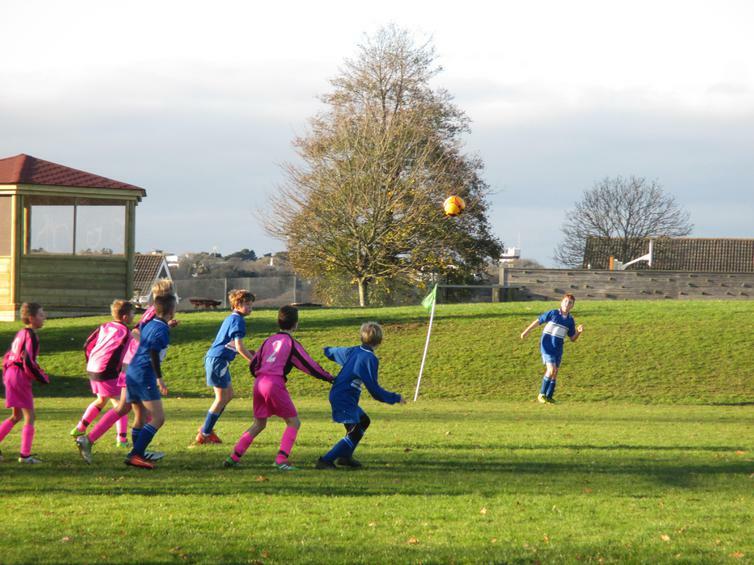 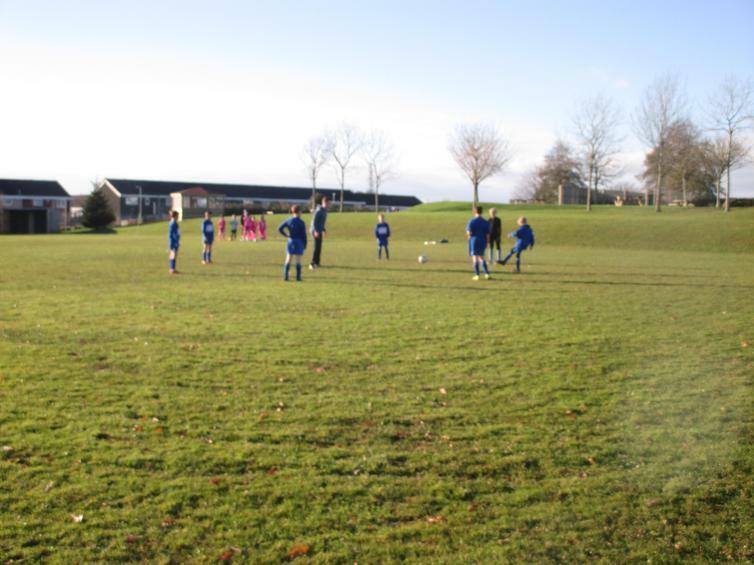 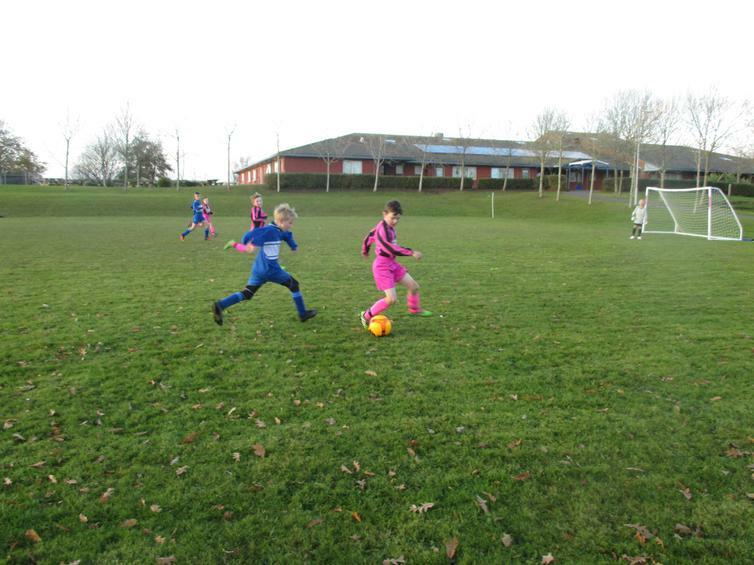 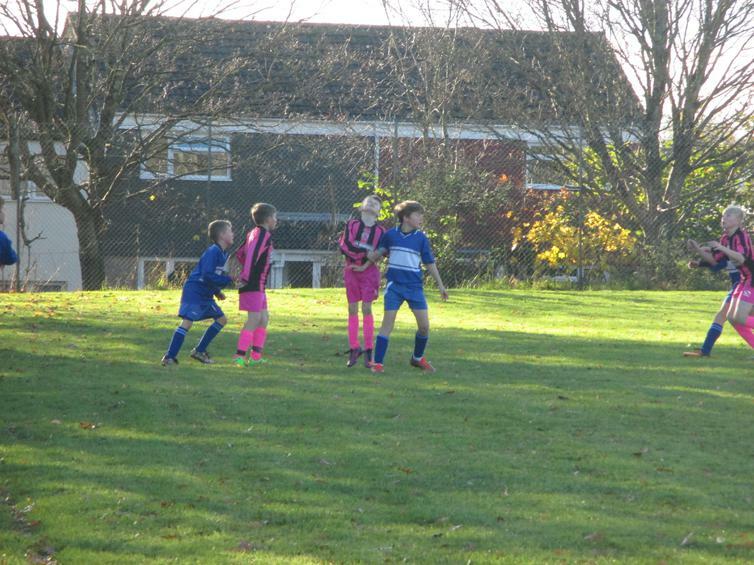 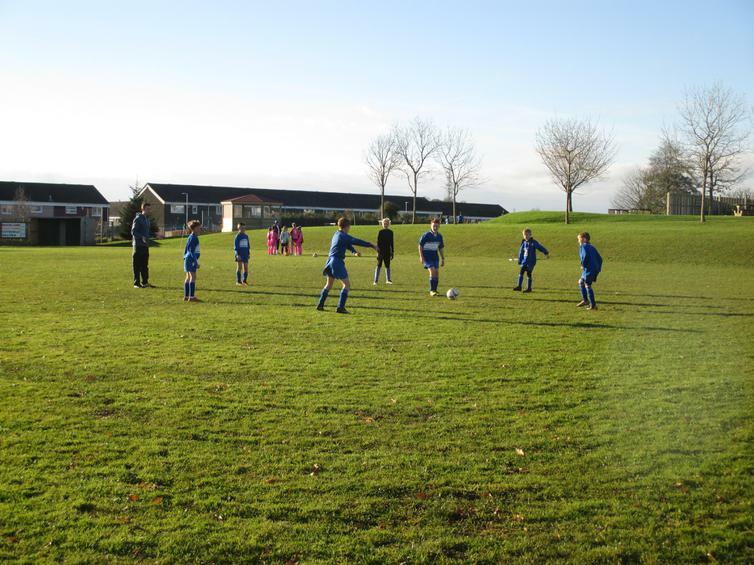 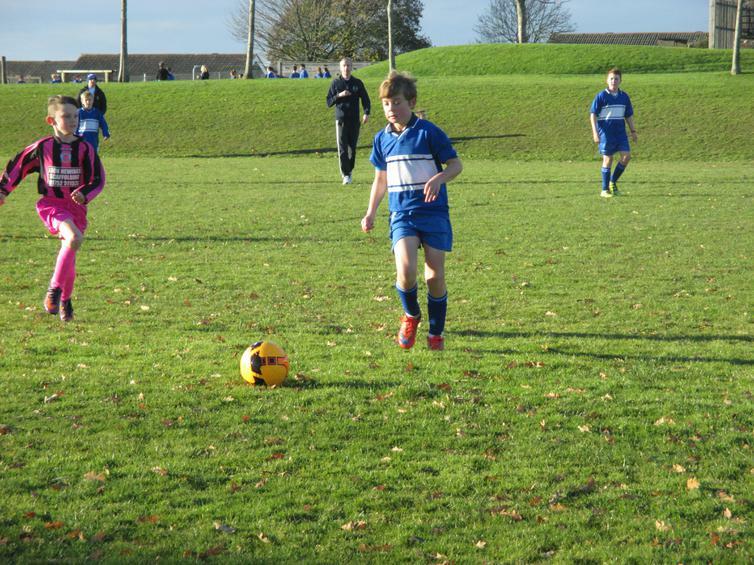 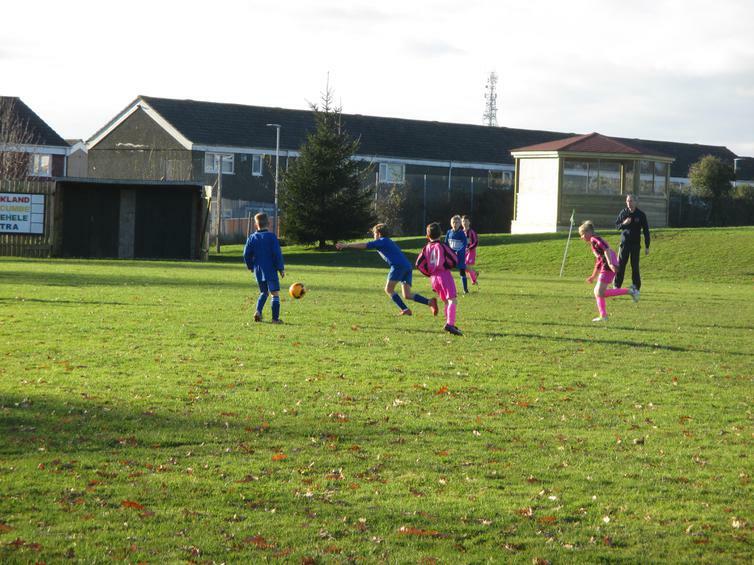 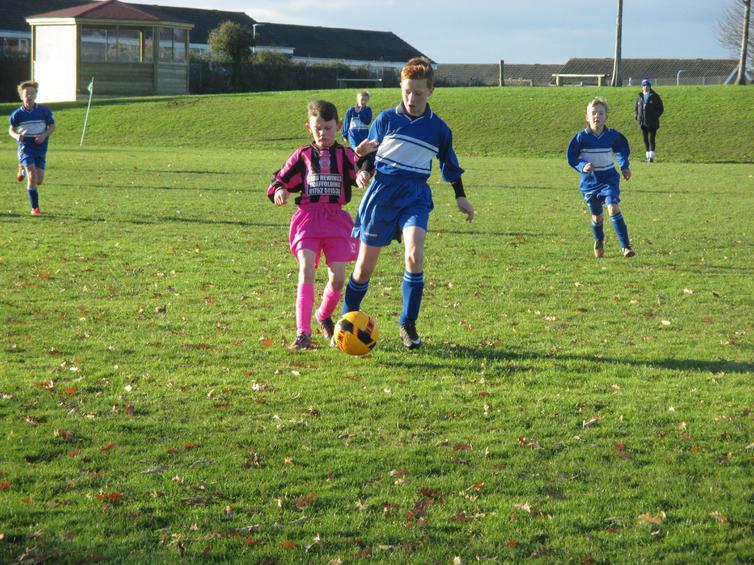 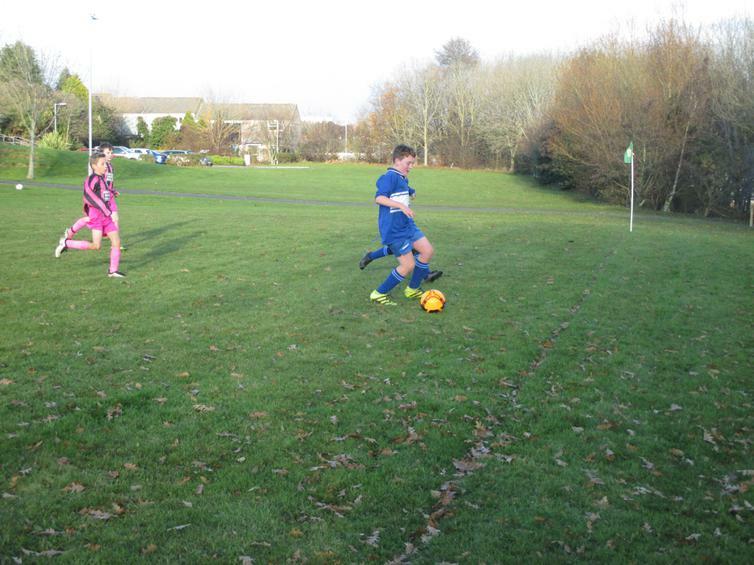 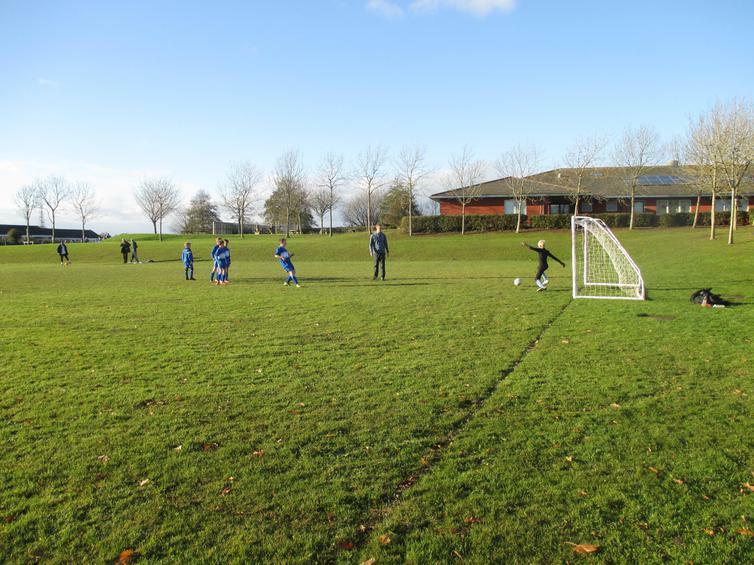 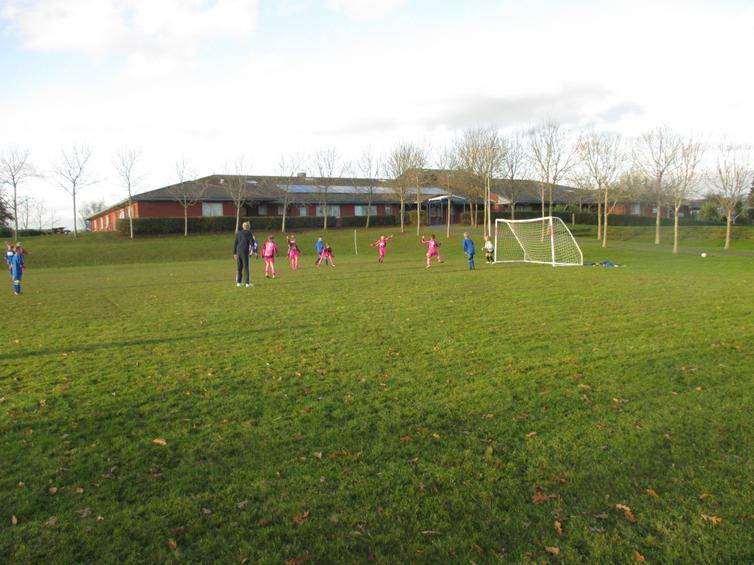 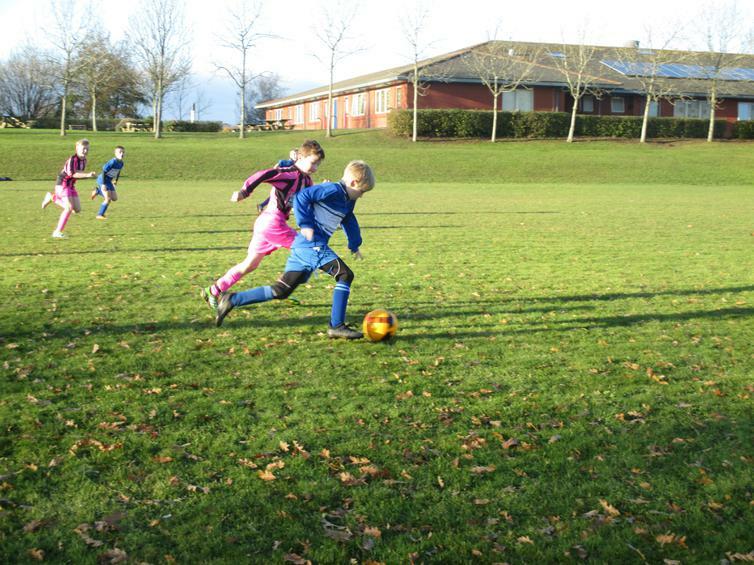 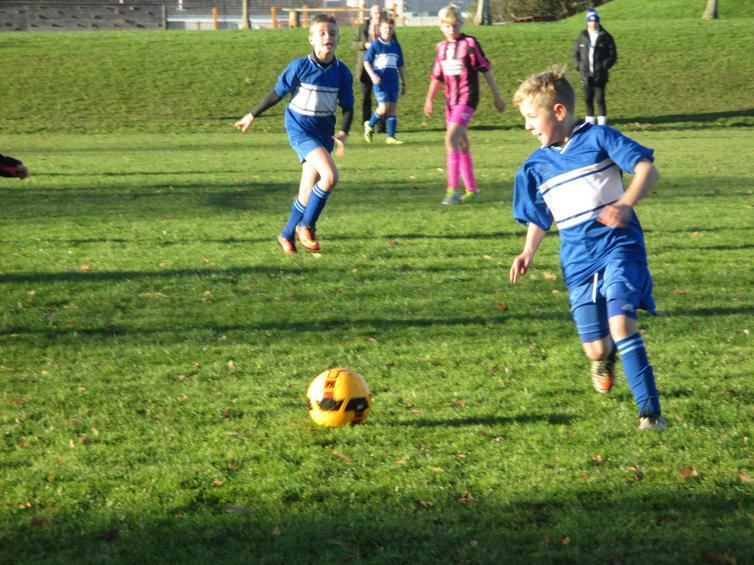 Our Football Fridays continued this week with an away game against Leigham Primary school. 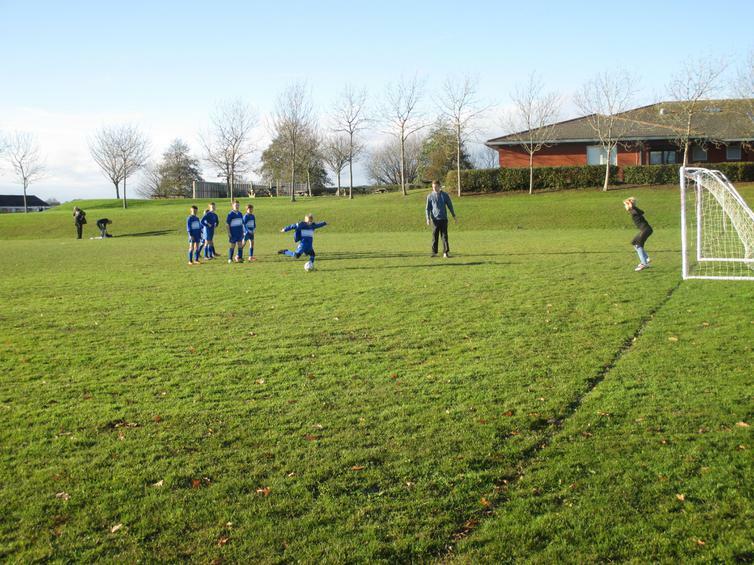 The sun was shining and the team were in good spirits as they warmed up for the game. 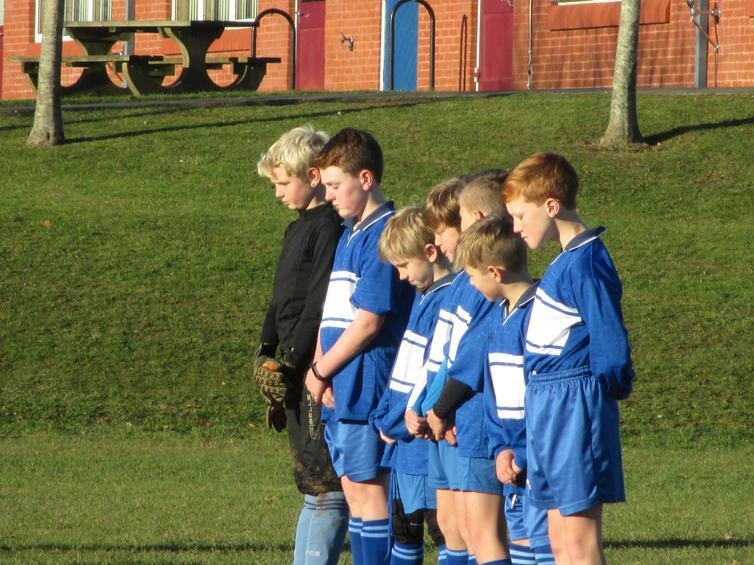 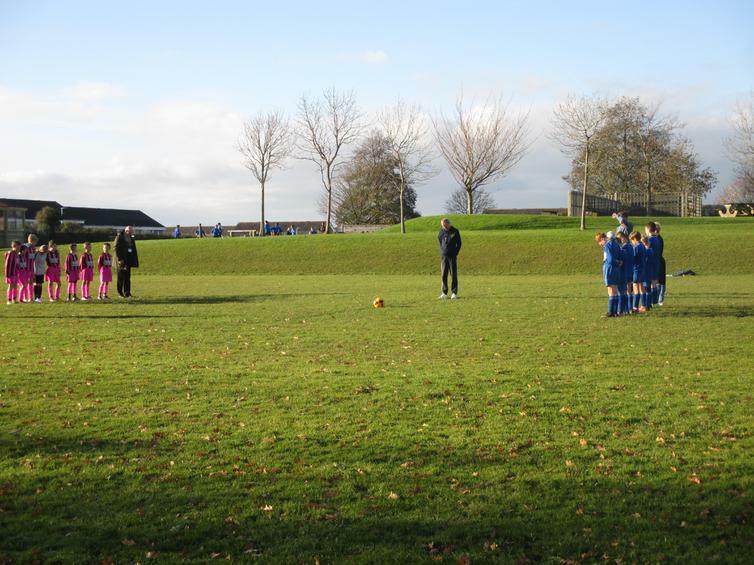 As a mark of respect, showing real empathy, Aidan suggested that we held a minutes silence to remember the Brazilian football team and all those that were involved in the plane crash this week. 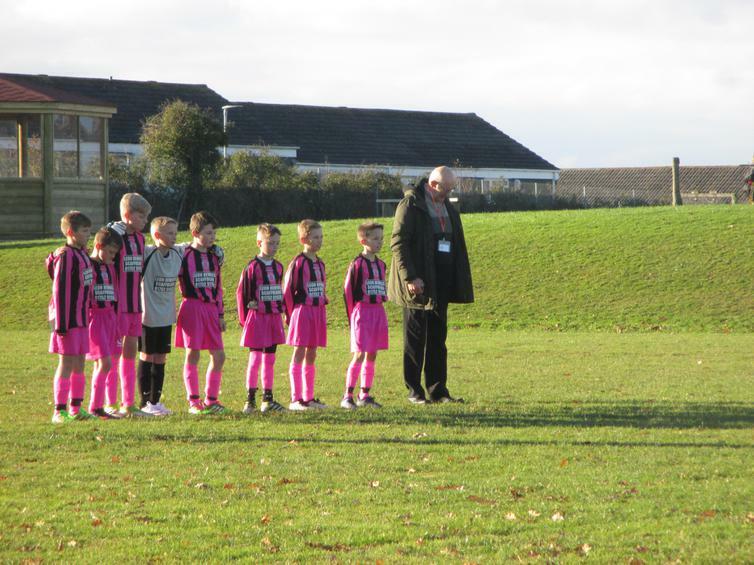 The Leigham staff and team were impressed with this and only too happy to join them in showing their respect - well done boys! 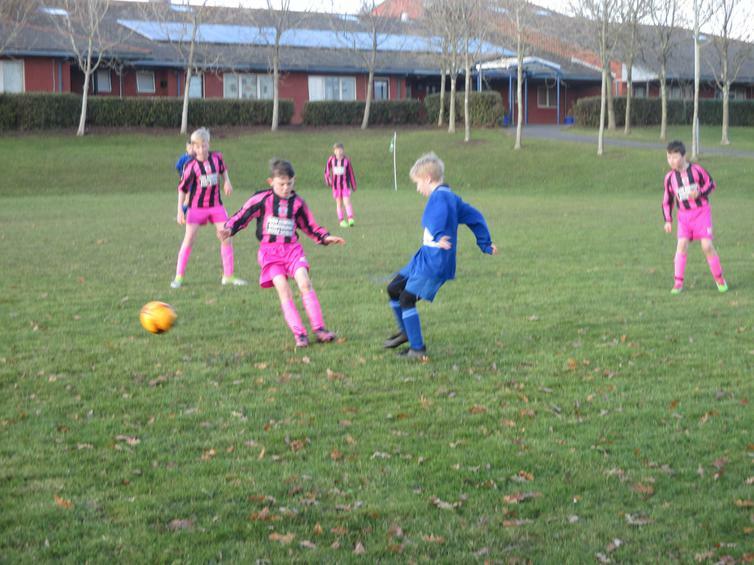 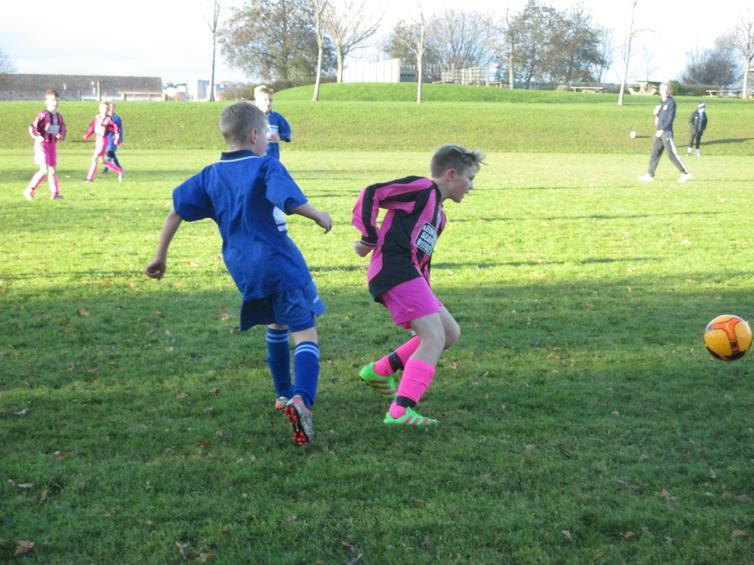 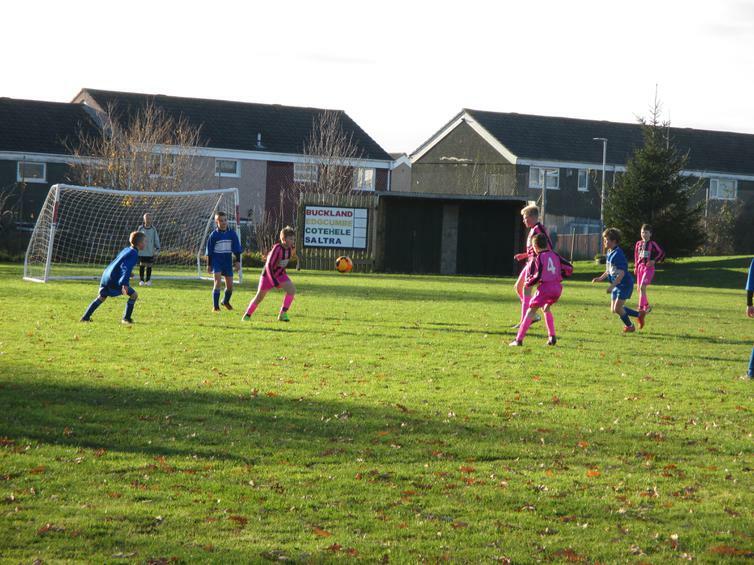 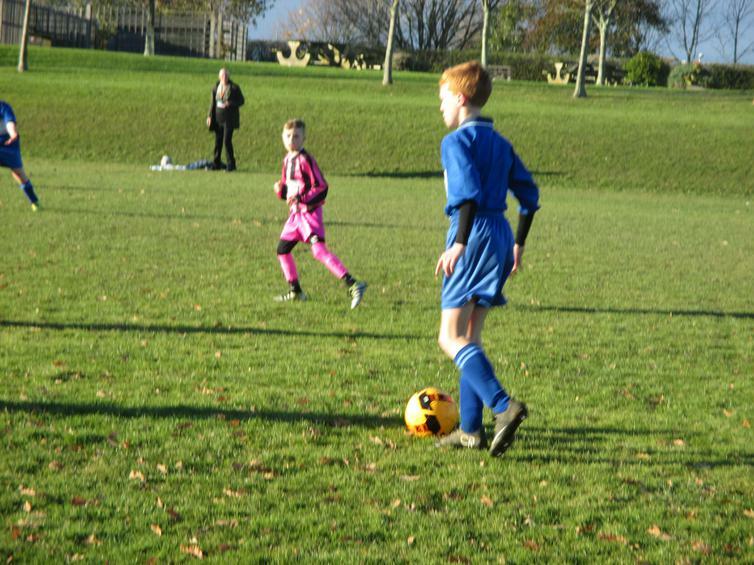 The game started at a fast pace with both teams showing energy and focus - Wembury had more possession of the ball. 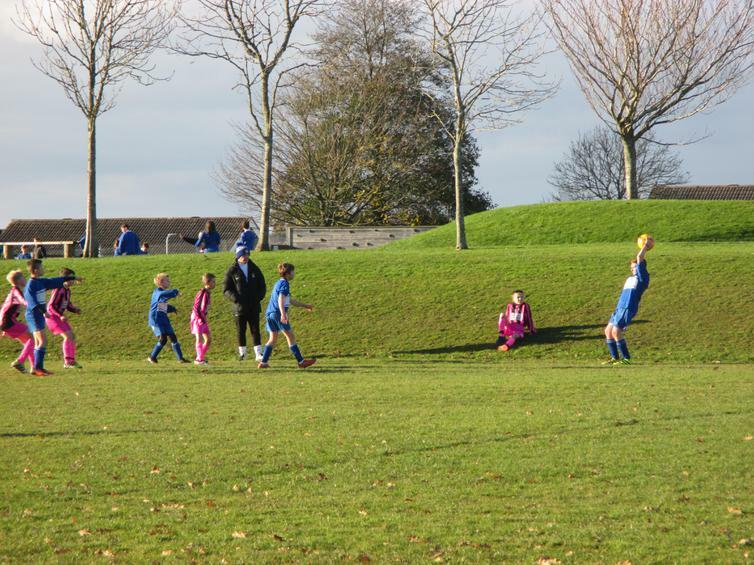 Despite some great attempts on target, the ball just refused to hit the back of the net and when the first goal finally came, it was Leigham that were celebrating. 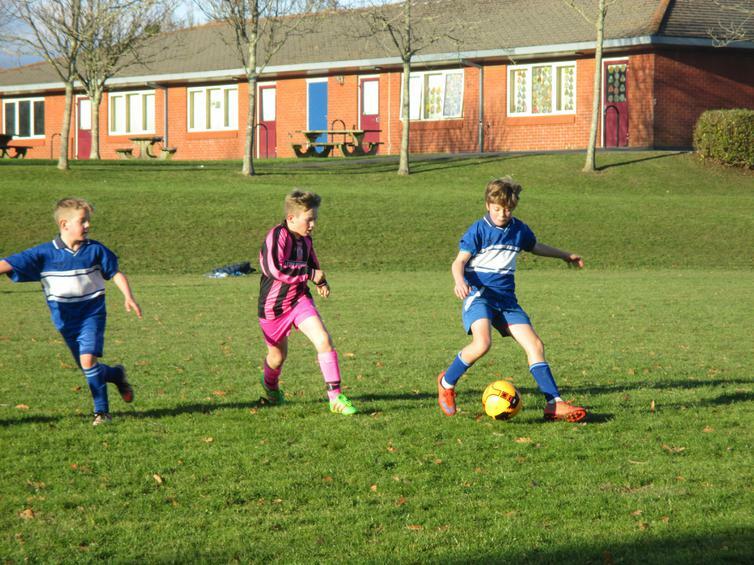 As in our recent draw with Bickleigh Down, the boys never gave up. 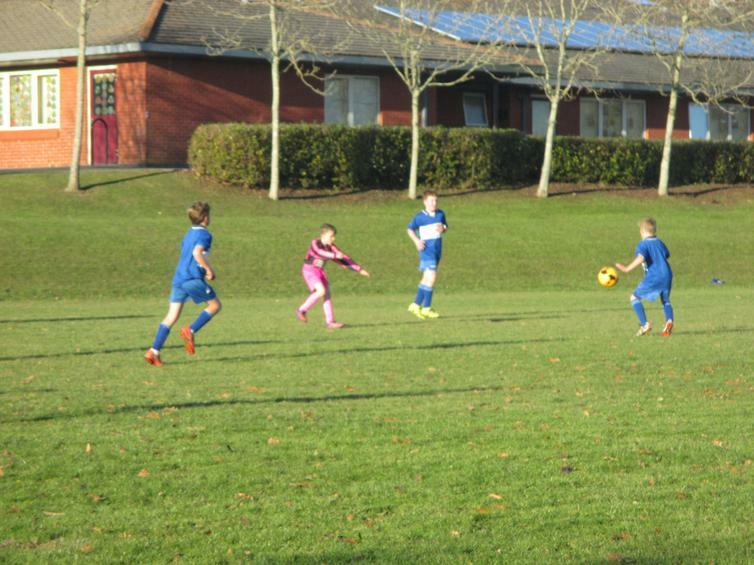 The equaliser came in the last few seconds after a series of attacks on goal by the Wembury boys to make the final score 1-1. 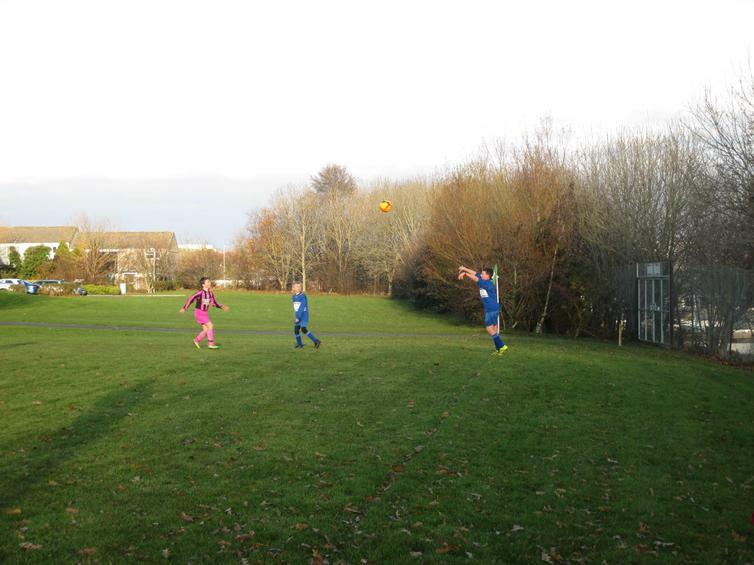 Aidan found the ball with his head and Rafa got it over the line for a well earned draw. 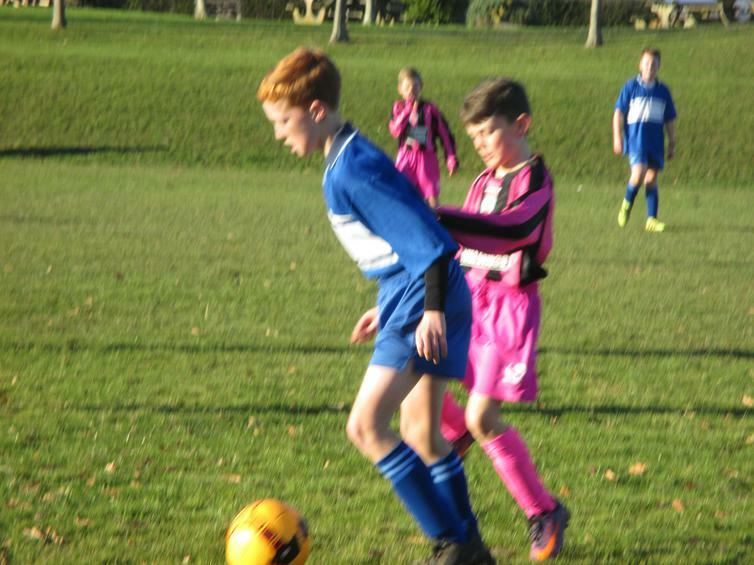 Well done to the team: Bram was as solid as ever in goal, Rafa and Harvey worked tirelessly in defence, Jack and Oliver were up and down on the wings and Kai and Aidan created many chances up front. 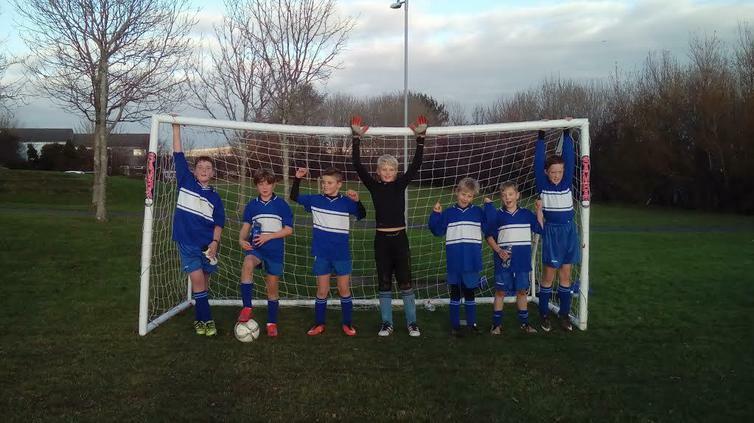 Well done and thank you to Leigham for a great game; we are looking forward to a re-match in the new year!